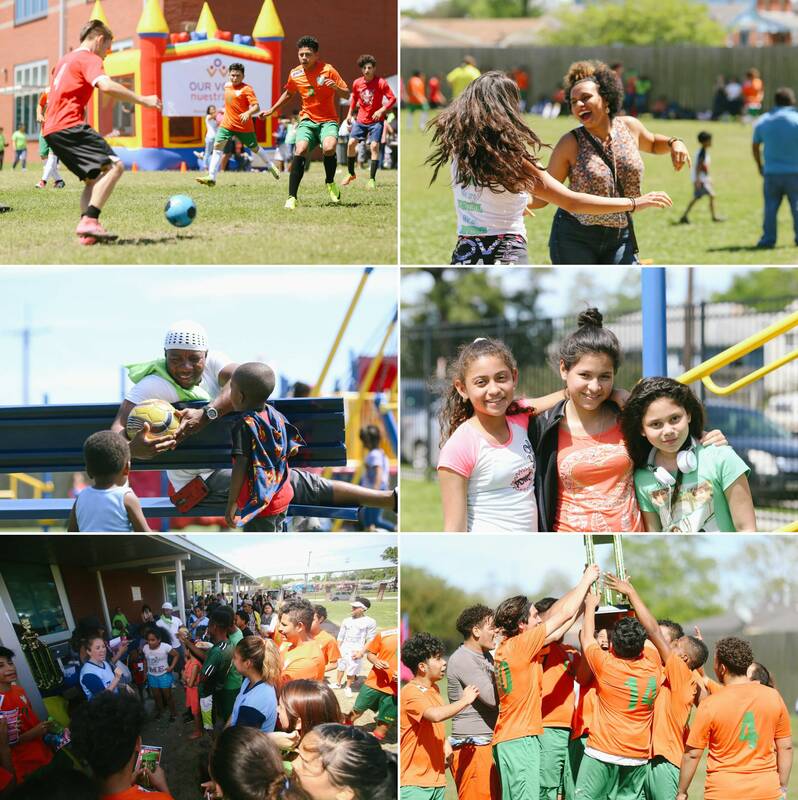 300 students and families from all over New Orleans came to Dolores T. Aaron Academy field for our Latino Family day to play fútbol, connect with service providers, and build their community. The collaborative event had food, games, dancing, and many smiles. Immigration lawyers and therapists provided expertise and networked with the community. Nuestra Voz’s own Henry Jones manned the grill, while youngsters played in the bounce house nearby. Farther down the field people young and old danced to the upbeat sounds of reggaeton and kuduro blasting from the DJ. 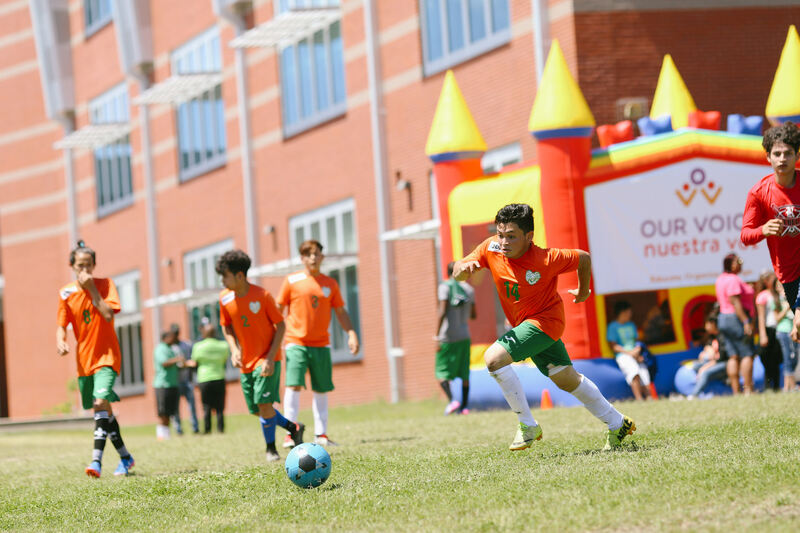 At the heart of the event was the soccer tournament where Renew, Carver Collegiate, and Cohen prep faced off in hard fought games. In the end, the Carver Rams proved victorious and took home the first place trophy. It was an important milestone for the Rams providing the first tournament win for their newly founded soccer team. Thank you to everyone that made it possible!